It’s kind of a big deal around these parts. It’s a big deal around any parts. This here Cheesewhizzes club is featured in this month’s Food & Wine magazine. Yep, the big Kahuna of the year, the December Food & Wine issue. A whole story, about this club. publishing our Macaroni and Many Cheeses recipe, sharing the love. We are so excited to have a bigger platform to share our potluck party ideas. We are thrilled to help bring the focus to all of the amazing cheeses available in this country. We couldn’t be happier to share our love of milk’s leap toward immortality. We’re still putting the finishing touches on our hosting pack — that should be available within the next 2 weeks — but our tasting journal is available right now and if I may say, is glorious in its full-color sharing. 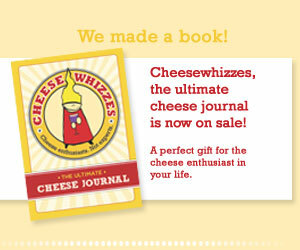 Thanks so much for being a part of our Cheesewhizzes journey!